MARQUETTE – There are concerns about the health of the moose population in the Upper Peninsula. The culprit seems to be climate change and encroaching parasites carried by whitetail deer. Dean Beyer, a moose expert with the Michigan Department of Natural Resources said after years of growth, the population has been growing a much slower rate. “From 1997 through 2007 it appeared that the population was growing at a fair rate of about ten percent a year but from 2009 to 2013 that growth rate has appeared to slow to about two percent per year,” Beyer said. Beyer said nobody knows for sure exactly what is affecting the moose population but says climate change and disease seem to be factors. “Deer carry a couple of parasites – brainworm and liver flukes – that they are pretty well adapted to but other species of ungulates like moose are not as well adapted. So there may be some important interactions going on there between climate change, the deer populations and these parasites and the moose population,” said Beyer. Beyer does not believe the moose population in Michigan is in danger at this point. He said it is a good sign that the population continues to grow, although at a slower rate, compared to other areas where the moose population is declining. “I think it is a positive thing that we still are seeing some growth in the population. That’s comforting when you put it in the context of what’s happening with moose in Minnesota. Their population is really looking like it’s taken a dive where as ours seems to be at least increasing, albeit at a much slower rate,” he said. If conditions improve, Beyer says he belives the U.P. could still see a population of about 1,000 moose. 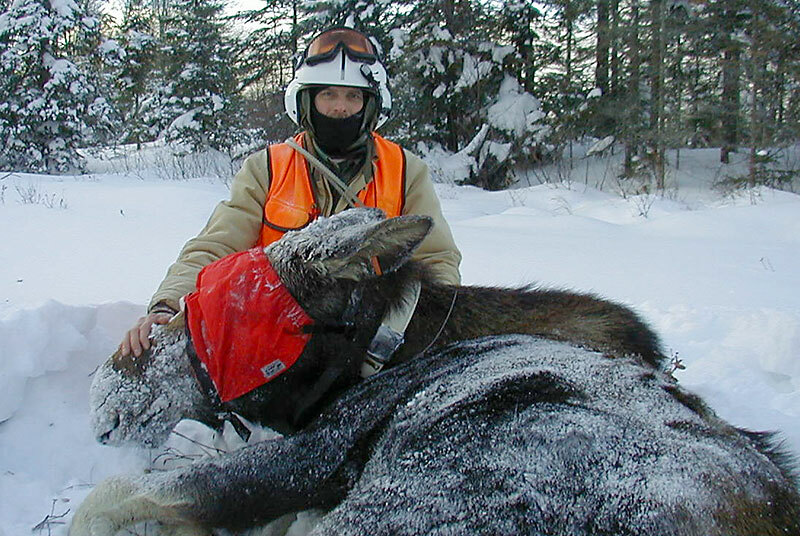 Share the post "Upper Peninsula moose population is growing at a slower rate"